The Weinsteins’ documentary Bully, which explores the lives of five teenagers tortured by bullying, remains stuck with an R-rating because of one scene where “one teen hurls harsh profanities at another child.” The Motion Picture Association of America, in a nutshell, says rules are rules and they’re applied objectively. The R-rating remains despite a screening and panel on Thursday before MPAA chief and former U.S. Senator Christopher Dodd, during which Harvey Weinsten, the film’s director, and even one of the bullied teenagers pleaded for a rating of PG-13, which they say would allow more teenagers to see the film. 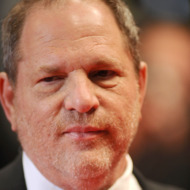 Weinstein has been steadfast in his refusal to edit or delete the controversial scene. But Dodd believes that an exception in this case would set a precedent compromising the MPAA’s responsibilities. This all sounds like a game of chicken.